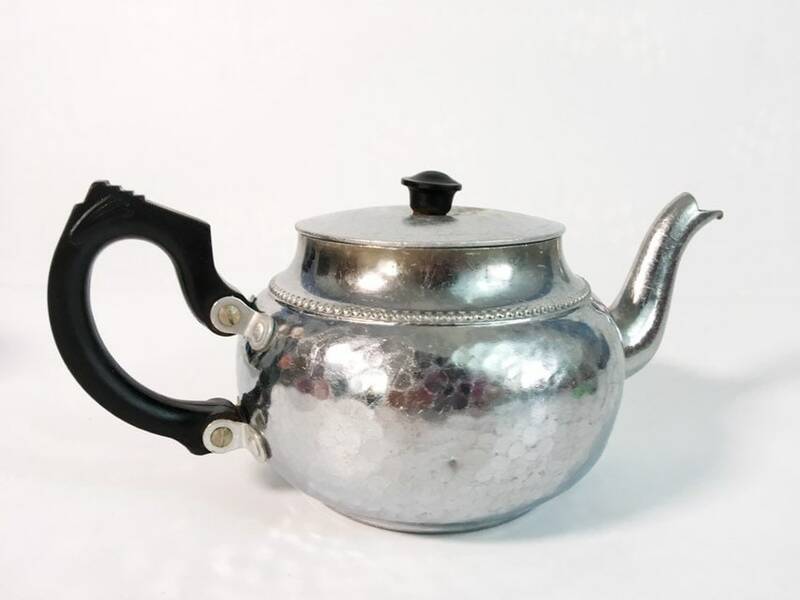 A sweet vintage aluminum coffee or tea pot by SonA Chrome that has a great Art Deco style shape, hammered sides and a raised dotted edge all along the top section before the opening. 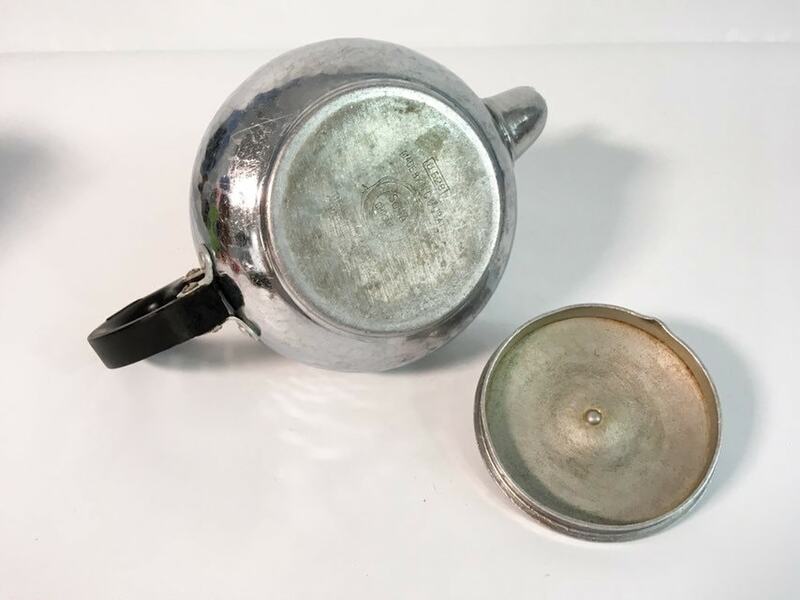 The compact pot itself is aluminum but the handle and knob on the lid are Bakelite. 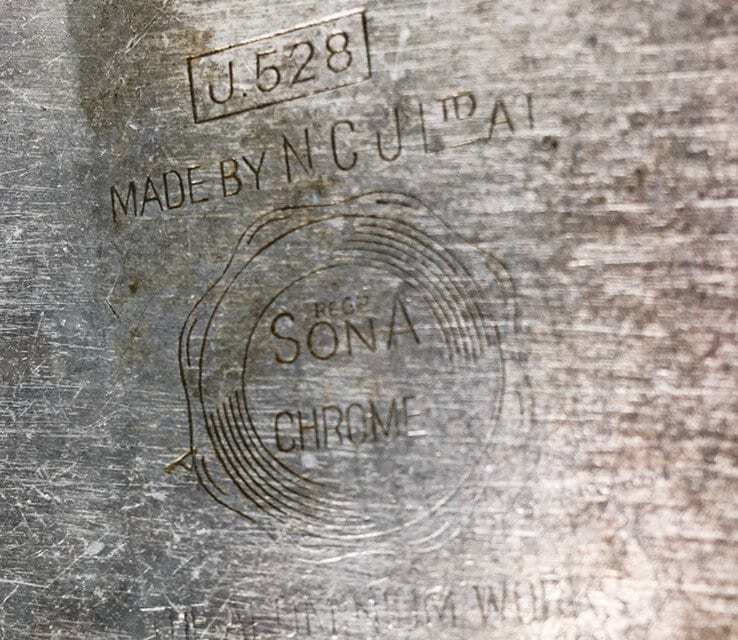 The N. C. Joseph Company's SonA logo and stamp can be seen on the bottom of this little tea or coffee pot. 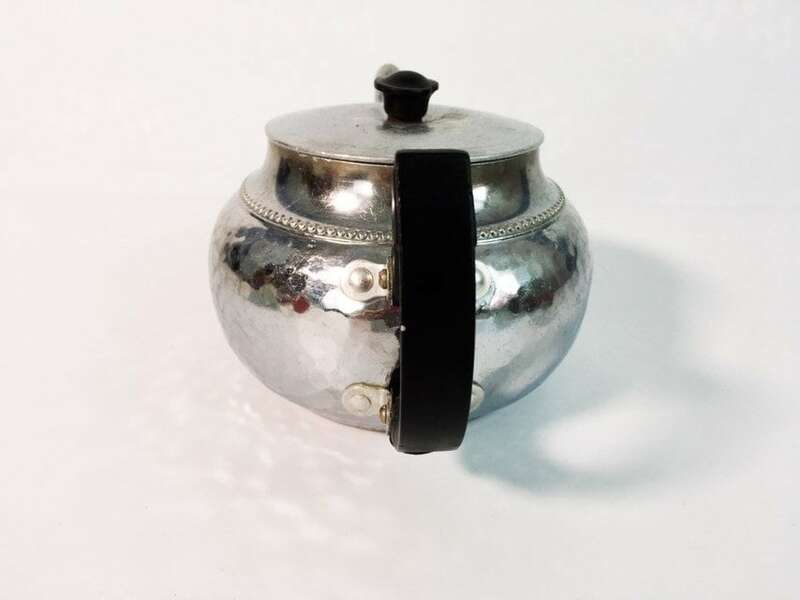 Perfect as serving piece and/ or display item for a retro kitchen. A rather lightweight item that weighs 1 lb. before packaging for shipment. 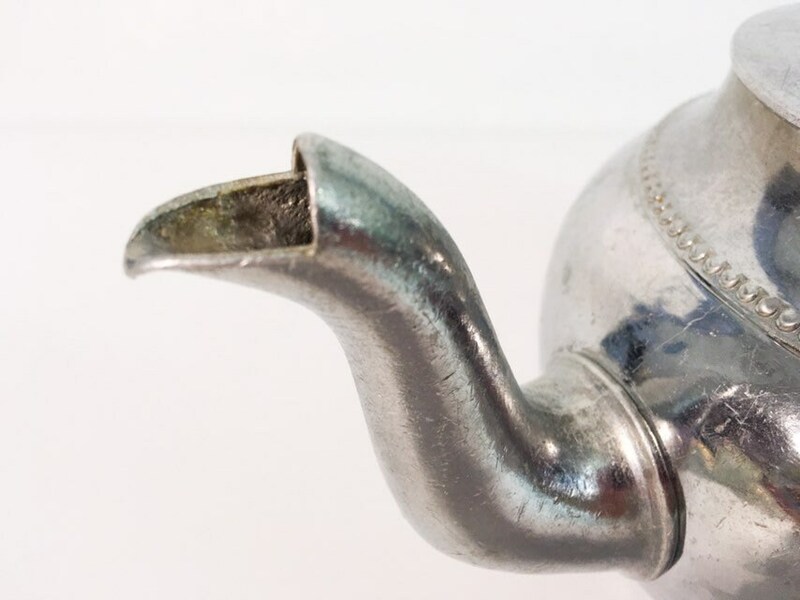 Measures 4 1/2" tall to the top of the wooden knob on the lid. Widest part of the pot has approx. 5" diameter. It measures 9" across from the edge to the end of the handle. 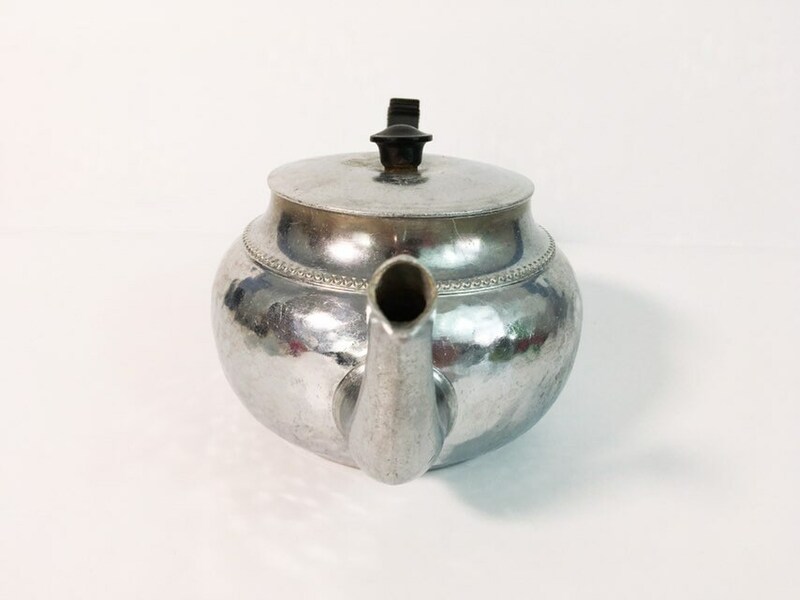 This Art Deco style teapot is very lightweight and weighs 1/2 lb. before packaging for shipment. According to Grace's Guide to British Industrial History, the The Aluminium Works at Stratford-upon-Avon was in business by Mr. Joseph starting in 1929. 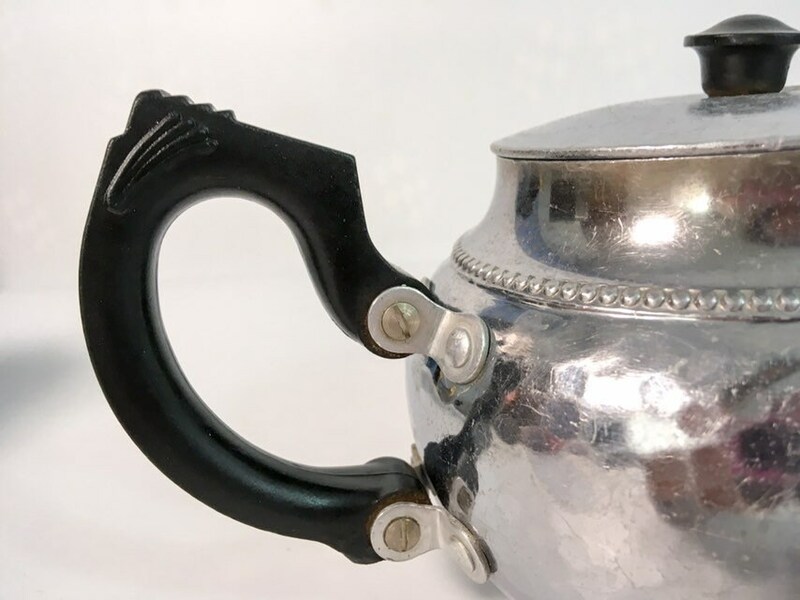 In nice vintage condition with slight dings here and there, wear and patina on the aluminum, especially on the lid and spout as well as some interior pitting as would be expected an item that is circa 1930-1940s. 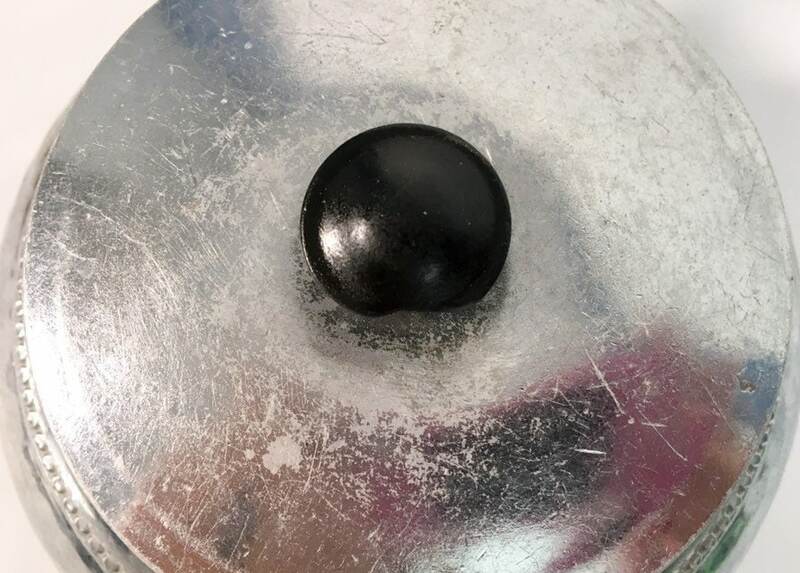 The knob on the blue is not perfectly round. 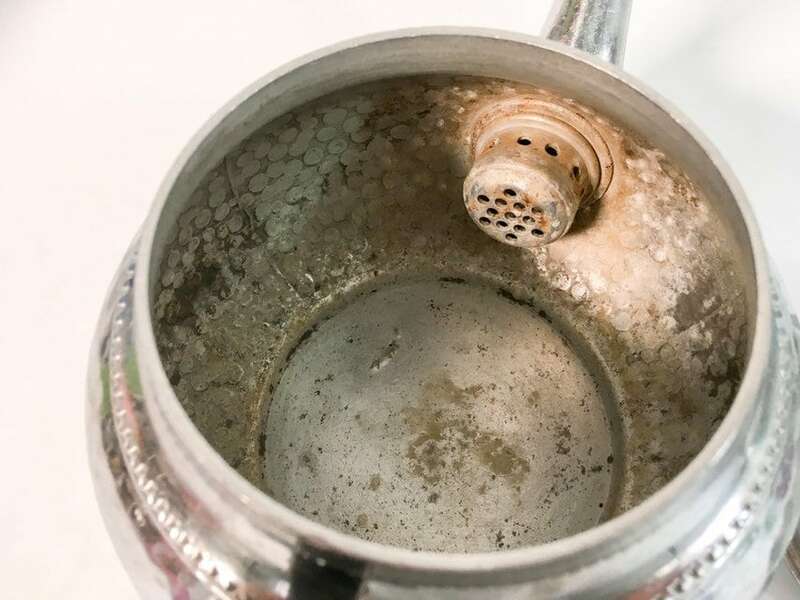 It is a great shabby chic piece of kitchen / serving ware. See photos for detail. Item's price reflects condition.